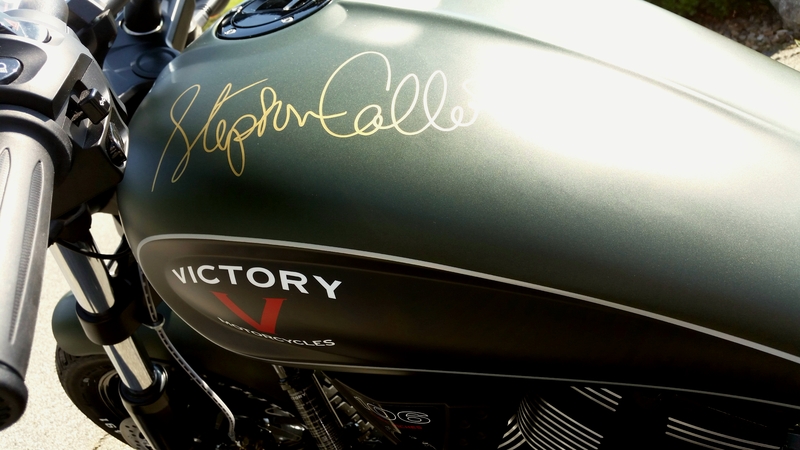 Recently, IAVA member Ryan Havner picked up something very cool from his local motorcycle dealership in North Carolina–a Victory Motorcycles Gunner, with a gas tank autographed by Stephen Colbert! Ryan, an Army veteran who served in Iraq, had followed IAVA’s partnership with Victory Motorcycles on Instagram, seeing pictures from our various engagements. Earlier this year, he entered an IAVA contest to win the Gunner after seeing the opportunity posted online. Ryan, who works in sales for a commercial security provider, never guessed he would win. Now, with the Gunner at its new home, Ryan is enjoying every moment. He even loves just looking at it in his garage. His dad, a rider himself who introduced Ryan to motorcycles, has traveled to check out the bike. Of course there’s lots of riding too! Ryan, who has been riding for five years, says the bike is “phenomenal, a great afternoon cruiser.” Together, they set off on the legendary Blue Ridge Parkway in North Carolina, where a typical weekend afternoon finds them taking off for a mountain town and some barbecue for lunch. Now who doesn’t like the sound of that! 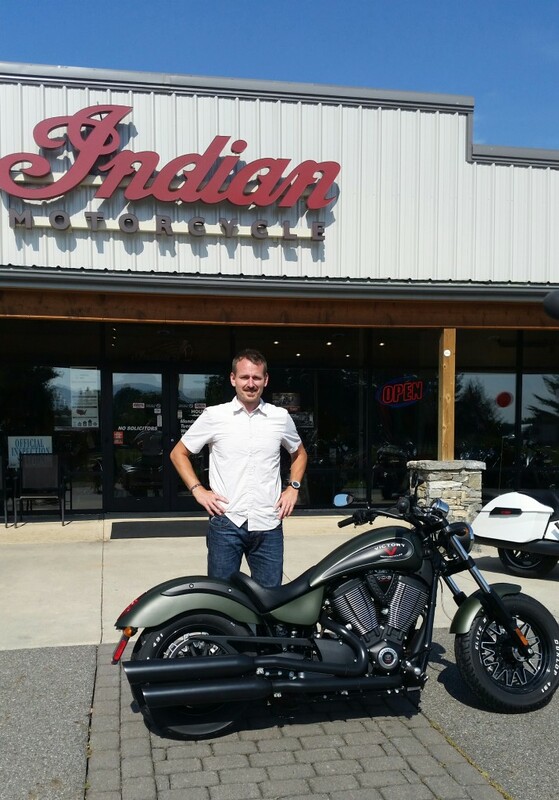 Want to check out IAVA and Victory Motorcycles in action? Head to IAVA’s Flickr and Instagram!